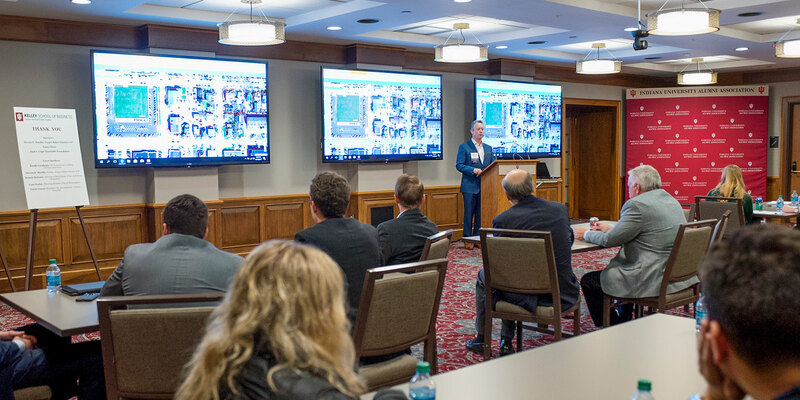 With stunning views of Simon Skjodt Assembly Hall, Memorial Stadium, Cook Hall, the Virgil T. DeVault Alumni Center and its lawn of rolling meadows is the perfect place for business meetings, award banquets, weddings, and more! 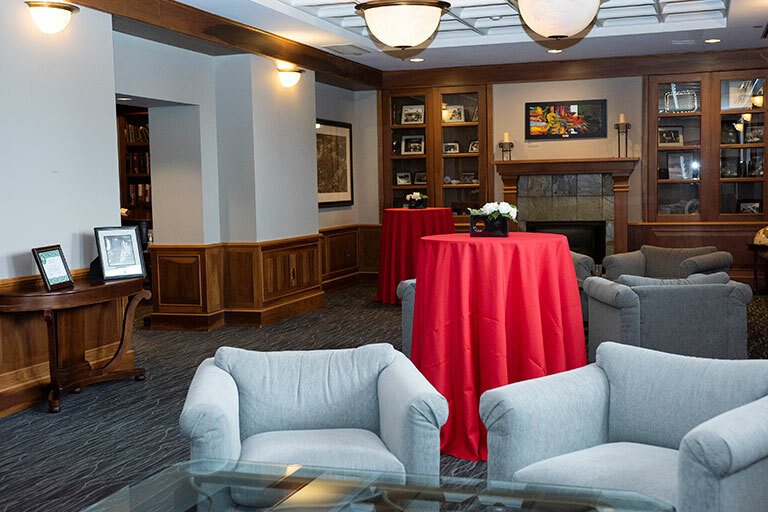 Our user-friendly spaces offer flexibility in terms of room size, technological capabilities, catering facilities, and personalized areas for socializing—we even have a grand piano! 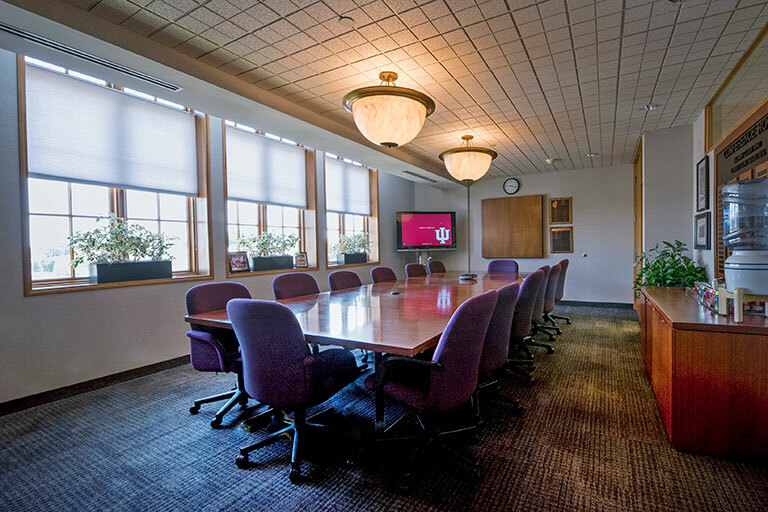 Whether your event is large or small, indoor or outdoor, formal or informal, the DeVault Alumni Center is here to accommodate and provide an exceptional IU experience for you and your guests. 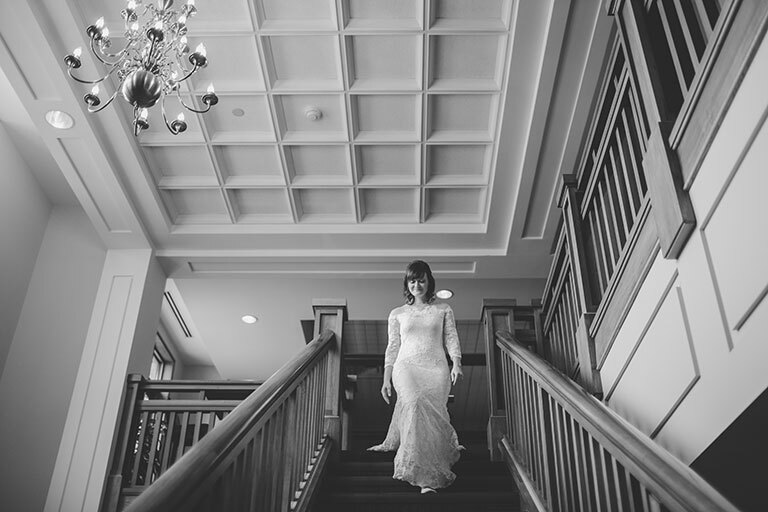 We have a wide selection of rooms and spaces for any event and every need. 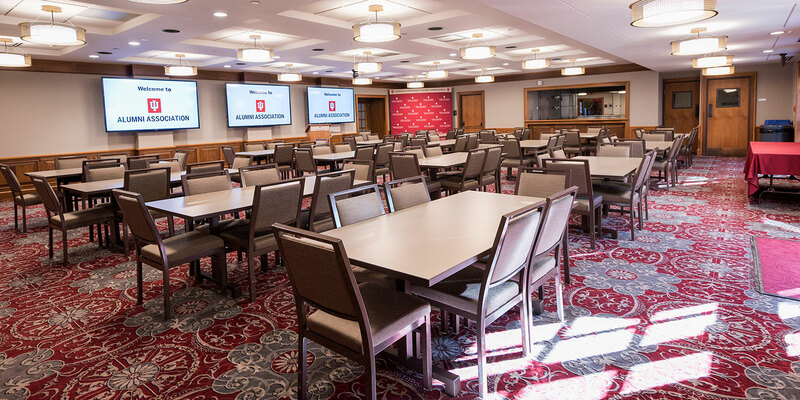 The largest room in the DeVault Alumni Center, the Kelley Dining Room provides an elegant environment for formal dinners, award banquets, and luncheons. With modern kitchen facilities, the room is available for buffet and bar services, and other floor plan options are available. 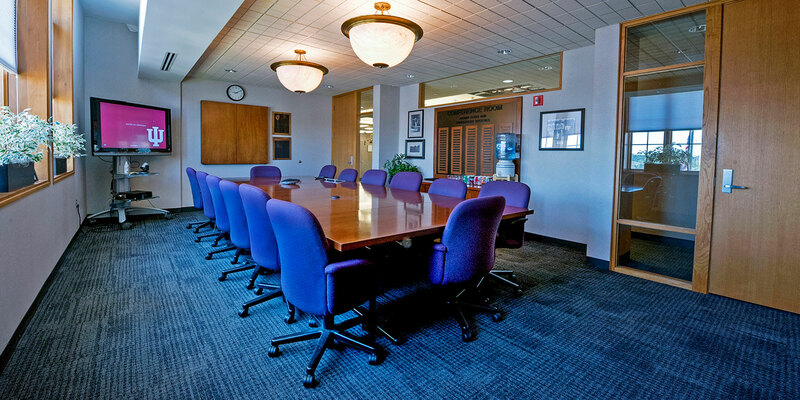 The room is conveniently located adjacent to the building's main entrance. These two adjoining lounges provide ample room for casual conversation, musical entertainment, and socializing. Comfortable armchairs, couches, and a grand piano provide a cozy and intimate atmosphere. 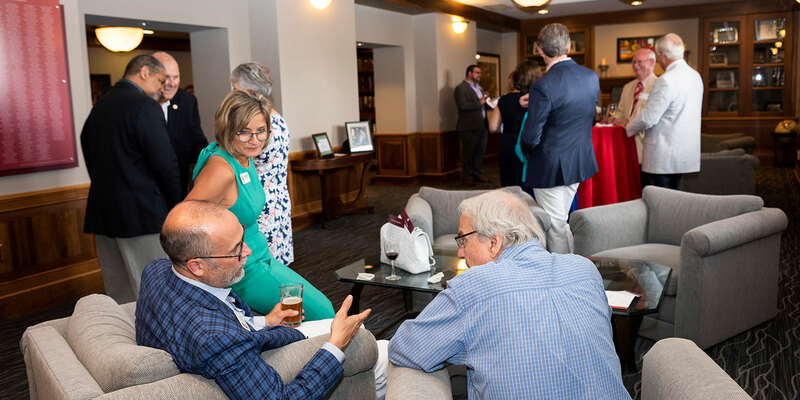 Guests can view historic IU photos and documents, a full library of scholarly and popular books, and a timeline of the IUAA’s history. The fully-carpeted living room and library are conveniently located close to the building's main entrance. 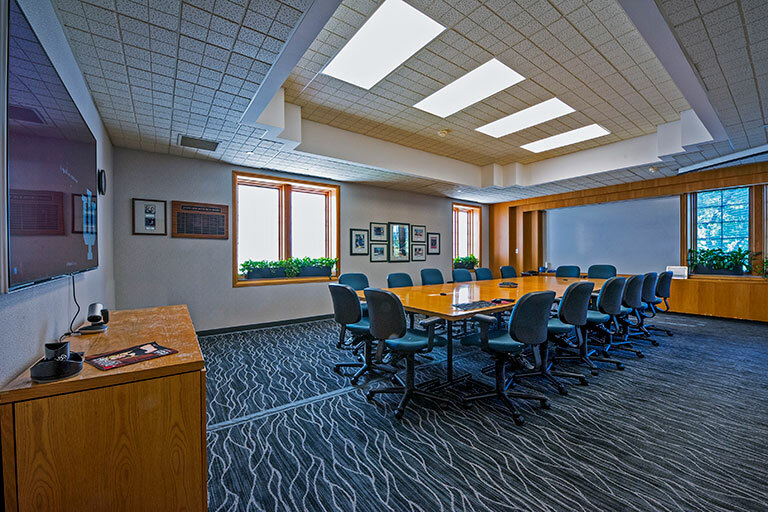 Warm-toned, cherry wood makes the Metz Board Room an elegant setting for professional meetings. A large, central table and leather chairs accommodate up to 18 people. The room is conveniently located just inside the building’s main entrance. 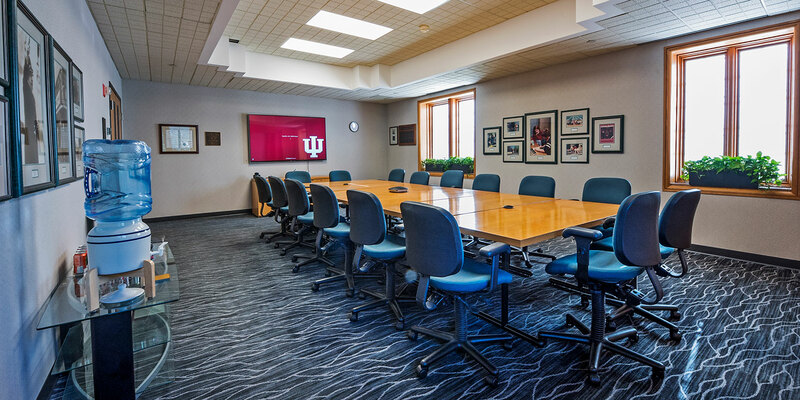 Sports fans will love the third-floor view from the Alumni Board Room with Simon Skjodt Assembly Hall, Memorial Stadium, and Cook Hall providing a picturesque backdrop for any small meeting. This compact, comfortable room with a large table and chairs for 16 people fits the bill for any casual-yet-professional meeting. 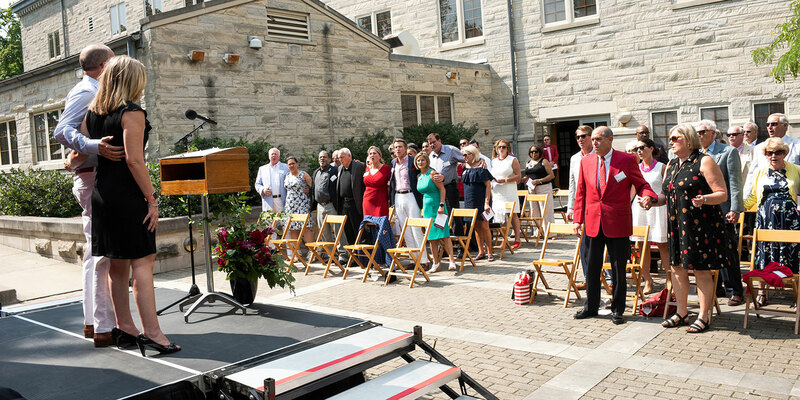 The spacious IUAA Patio, located in the lawn behind the DeVault Alumni Center, provides a festive outdoor space that is perfect for large gatherings. 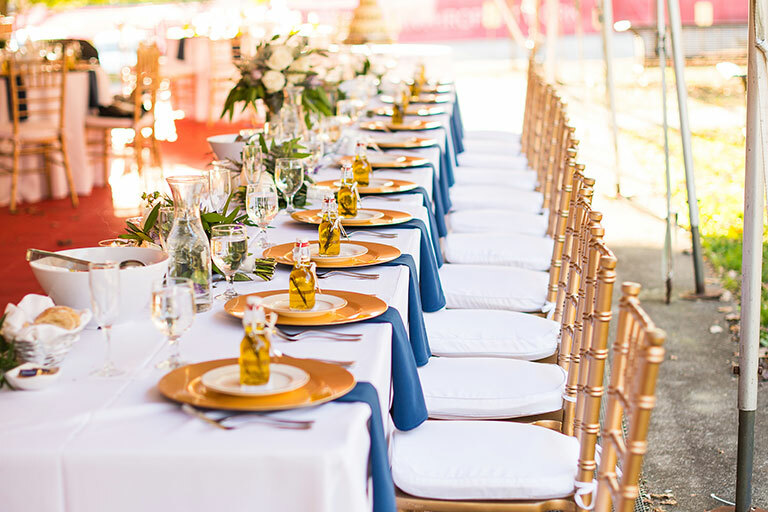 A secure flooring provides a stable foundation for tables and chairs (not included in rental cost). 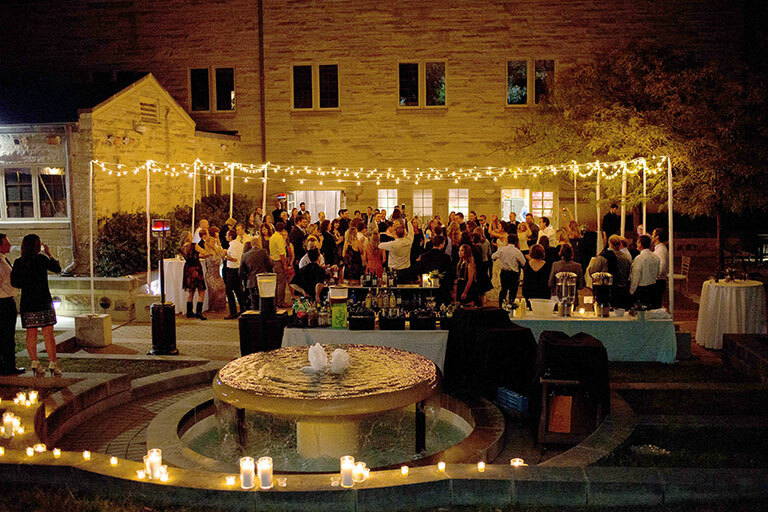 The patio is equipped to add a tent, which is available for an additional fee upon request and coordinated through the IUAA events team facilitator. 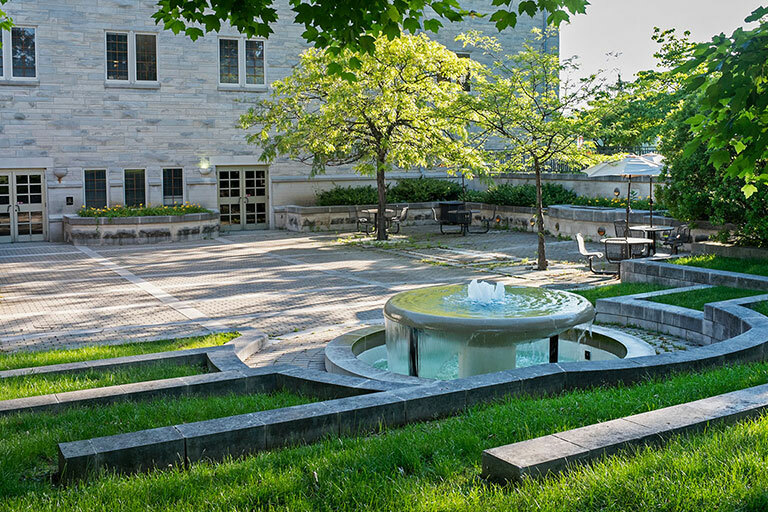 This space is available for rental for $200 and includes the Haugh Plaza. Please check for seasonal availability. The Haugh Plaza, with direct access to the Kelley Dining Room, gives guests the chance to gather and socialize outdoors. 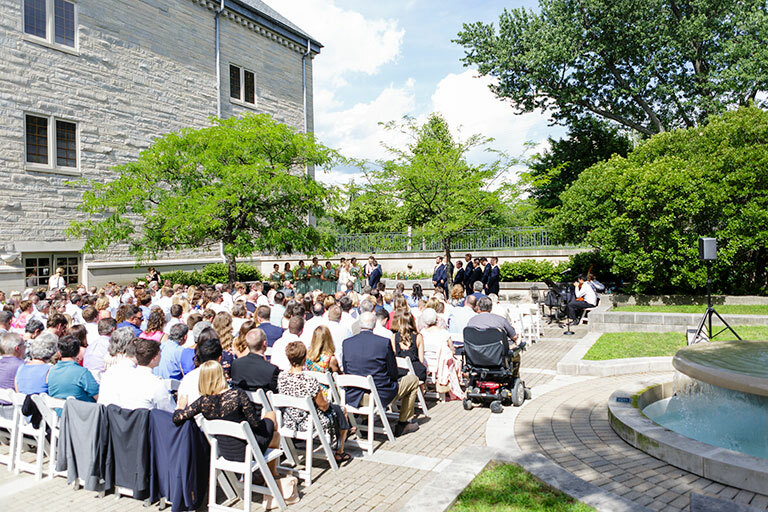 The beautiful limestone plaza, which features an elegant fountain surrounded by amphitheater-style steps, is perfect for weddings and outdoor entertaining. This space is available for rental for $200 and includes access to the IUAA Patio. The Haugh Plaza also may be rented as an add-on to the Kelley Dining Room for an additional $100. Please check for seasonal availability. 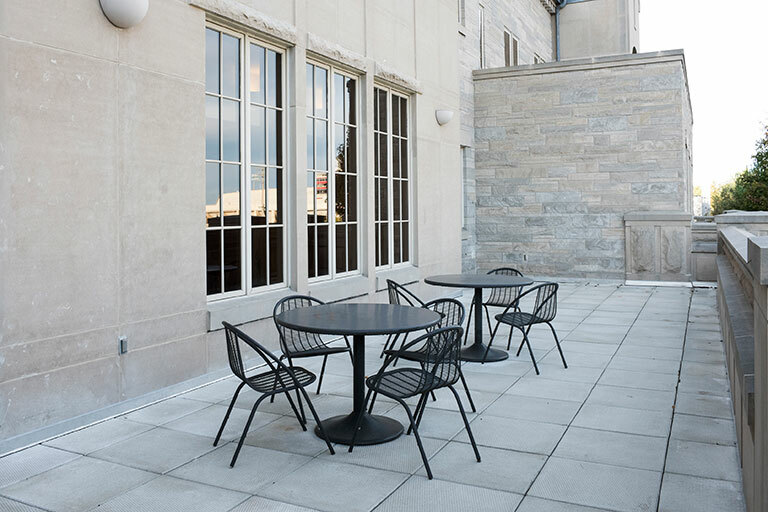 The Presidential Terrace is a second floor balcony, offering a breathtaking panoramic view of Simon Skjodt Assembly Hall, Memorial Stadium, and Cook Hall. 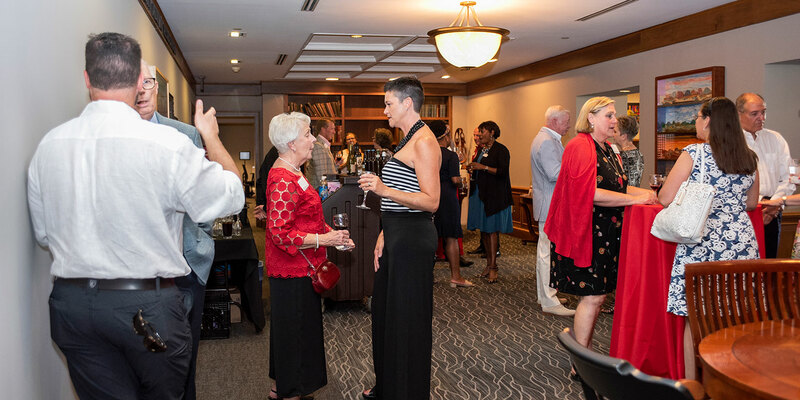 This space is perfect for private events connecting your guests to gameday activity or for any intimate social gathering. This space is only available as an add-on to another room rental at an additional cost of $100. Please check for seasonal availability. 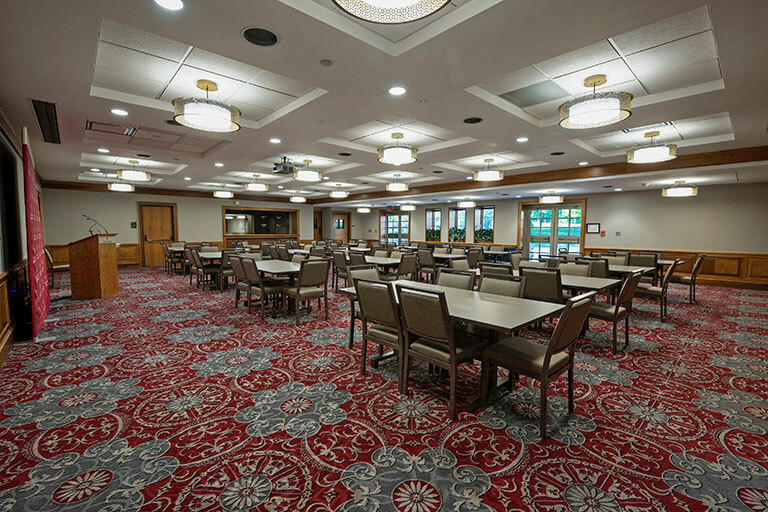 Kelley Dining Room: $150 8-5 p.m.; $250 after 5 p.m.
Conference Rooms: $100 8-5 p.m.; $150 after 5 p.m.
All room and equipment rentals are subject to sales tax. Below is a list of additional fees that may be added to your final bill. 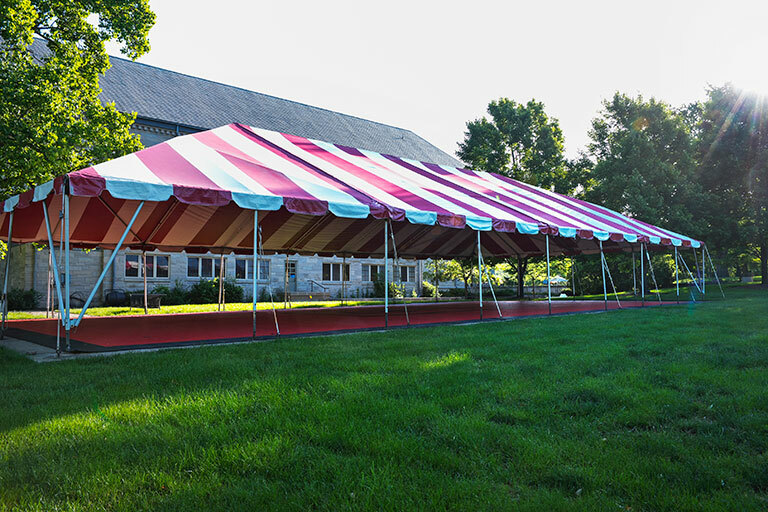 Tent for the IUAA Patio: available for an additional fee upon request, please inquire. 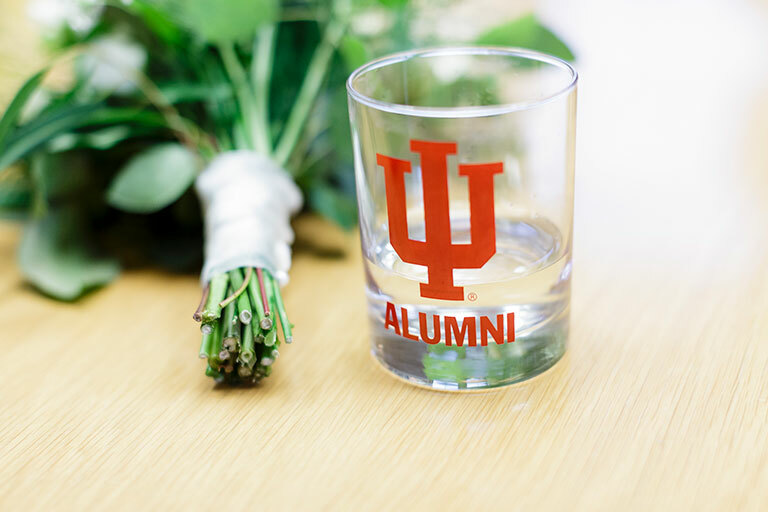 What could be more romantic for devoted IU alumni than hosting your wedding at the DeVault Alumni Center? 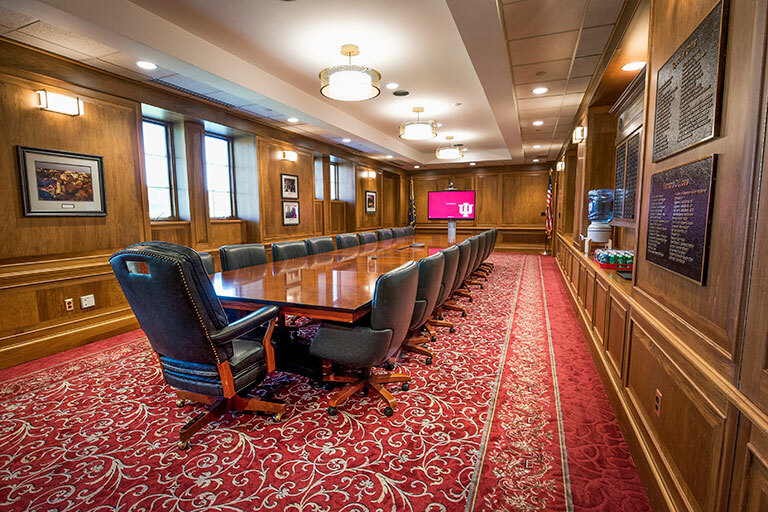 Experience a day you’ll remember forever with breathtaking views of IU’s iconic football and basketball stadiums, plus an atmosphere rich in the traditions and history of IU and the IUAA. 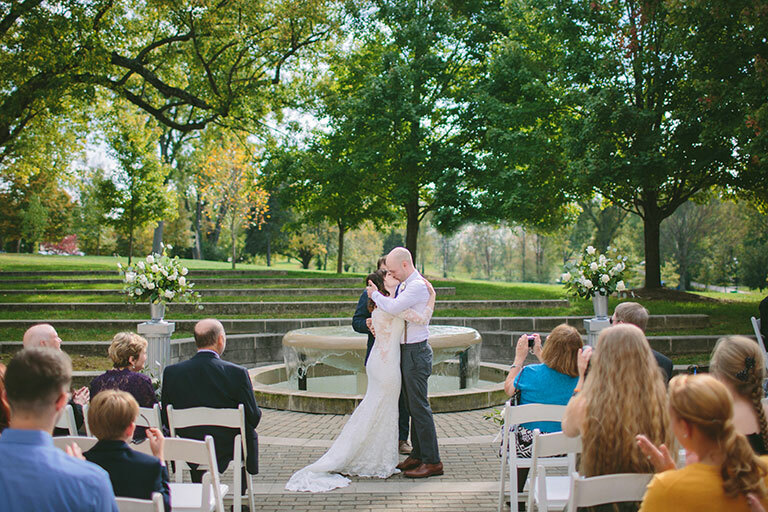 Green fields and dozens of mature trees stretch to the south of the building, offering picturesque backgrounds for your wedding photos. 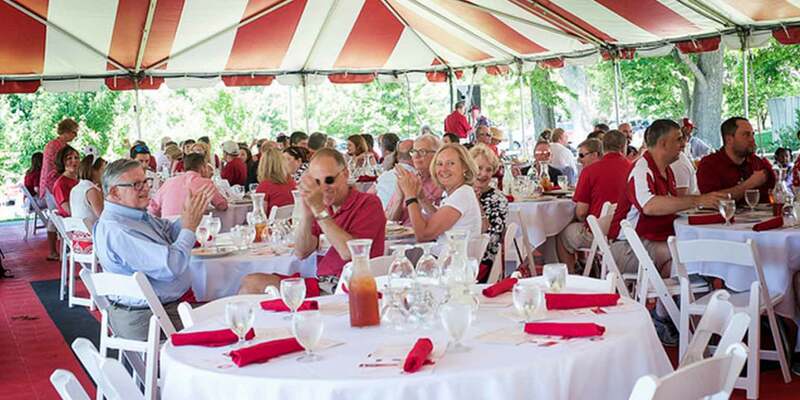 $630 for IUAA members; $700 for nonmembers. 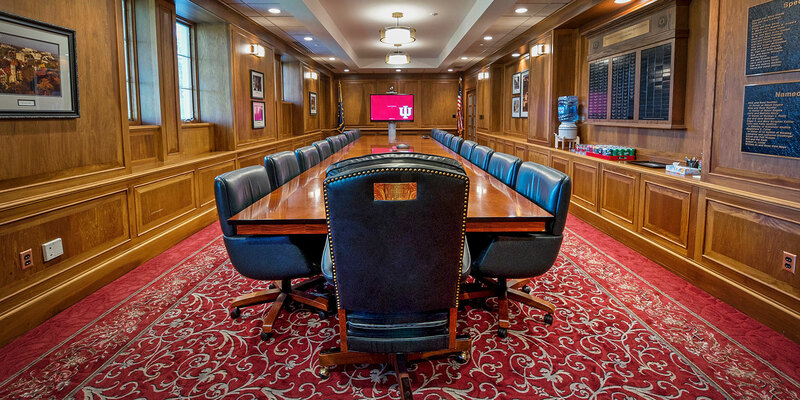 Includes access to all rental spaces inside the building—the Kelley Dining Room, Dutton Living Room, Inskeep Library, Metz Board Room, Rich/Jones Board Room, and the Alumni Board Room. 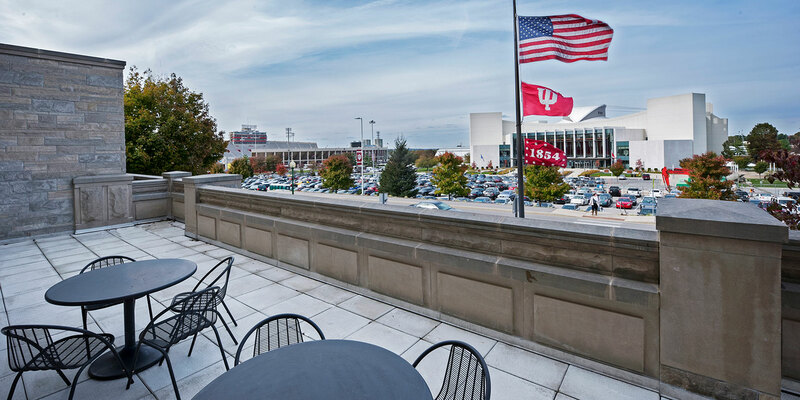 The IUAA Patio and Haugh Plaza are available seasonally for $200. Please inquire for pricing for adding a tent to the patio. 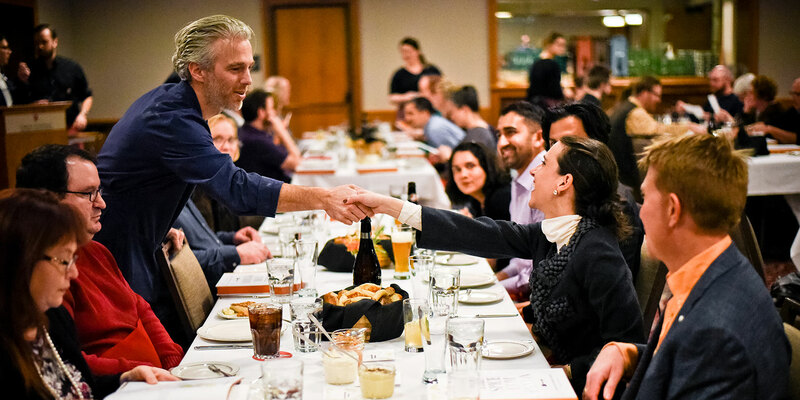 The $15-per-hour facilitator fee includes an on-site facilitator who is available to coordinate vendor deliveries and pickups, and to assist in setting up each space to your requested specifications. 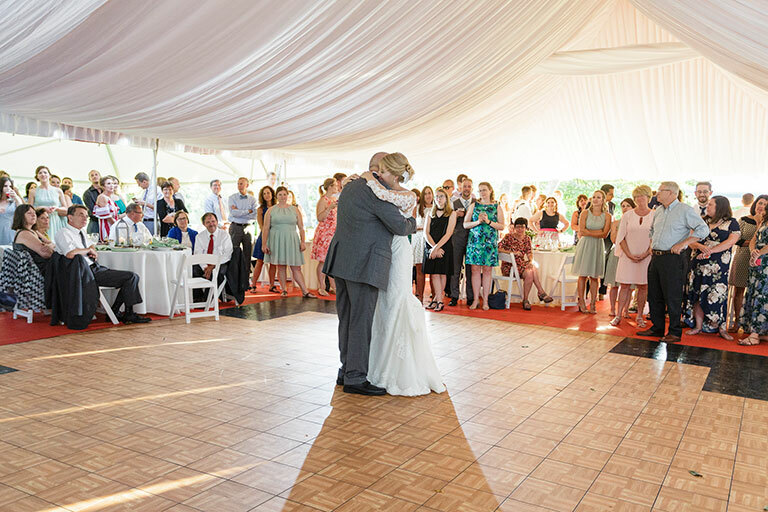 If more than one facilitator is required, which is often the case for weddings, an additional fee will be charged. Additional fees may be charged for added services such as the rearrangement of inside furniture, outdoor furniture rentals, parking attendants, and maintenance. 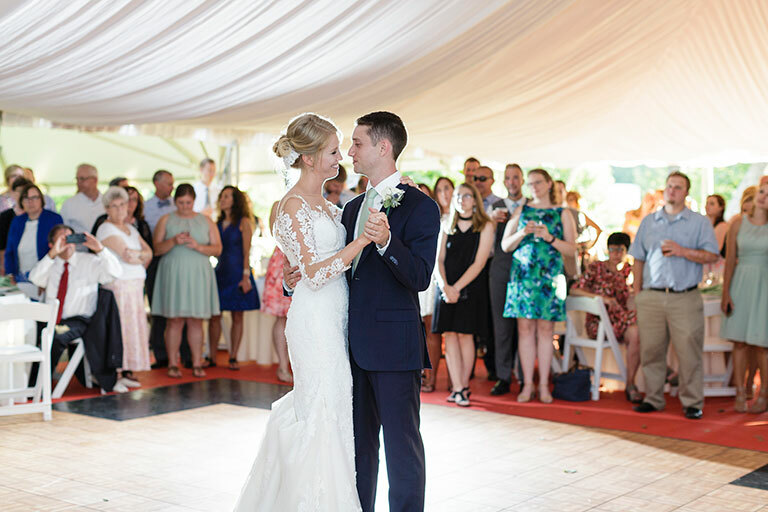 IUAA members receive a 10% discount on rental space for private events and weddings. Event tear-down must conclude by 10 p.m. ET Sunday–Thursday and by 11 p.m. ET Friday–Saturday. We require 10 business days’ notice prior to the scheduled event for cancellations. 50% of the reservation fee will be refunded for cancellations received less than two business days in advance. Cancellations due to weather will not be refunded. Completed reservation forms must be received at least 21 business days in advance of the requested date. Please review our terms and conditions before your event, which includes parking information. 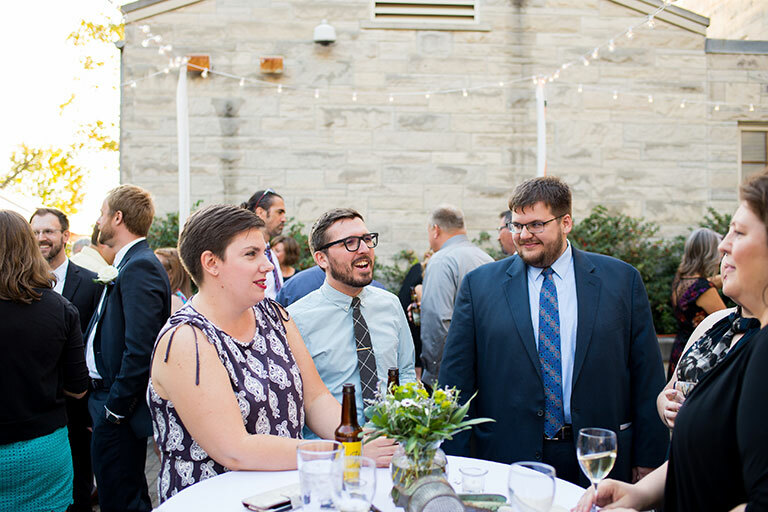 Interested in hosting an event at the DeVault Center? Click the “Reserve your space” button below. If you would like more information on renting spaces at the DeVault Center, contact Kennedy Rostenkowski at iuaameet@indiana.edu or 812-855-7938.